All you HTTYD Fans – let’s jam together and create some Indian FanArt based on our beloved Dragons Trilogy. Supported by Autodesk SketchBook Pro and Wacom India. 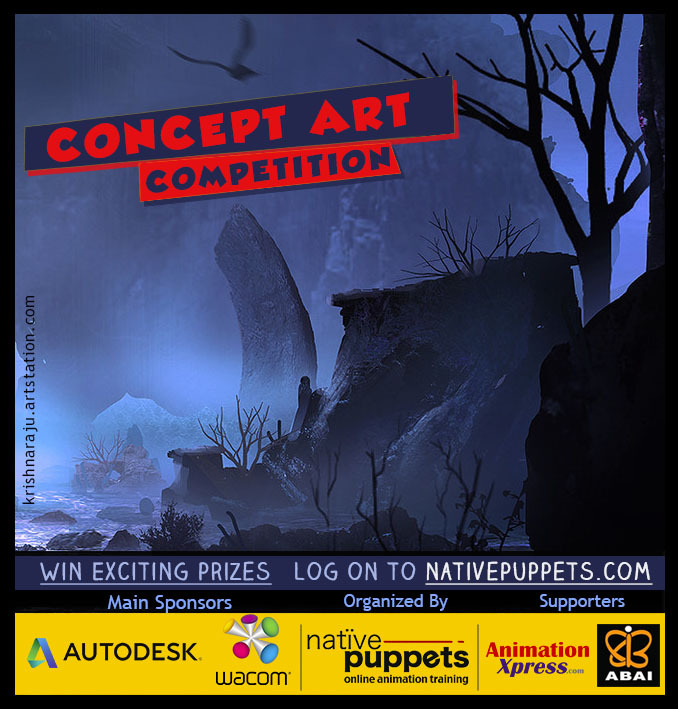 Organized by India’s Top Online Animation School – NativePuppets.com. Here is a brilliant opportunity to showcase your talent in Digital Art, where-in participants have to create the most compelling artwork in the respective categories of character design and or environment design. Competition starts on April 5th 2019 and ends midnight on April 12th. It is mandatory for participants to create the artwork using Autodesk SketchBook Pro. Download the software from HERE. Submission will happen on Instagram, where you will need to upload your entry on your instagram and use the following hashtags #HTTYD_IndianFanArt_STD_2019 (for student entry) and #HTTYD_IndianFanArt_PRO_2019 (for professional entry). You also need to tag @nativepuppets on Instagram. Last date to upload final entry on Instagram is midnight of 12th April, 2019. There are separate categories for Students and Professionals. Please go through the Theme carefully, as it is different for both categories. You get to design your own dragon that fits into the world of HTTYD. Gather as much references from past and present films as you can. Anything that helps you understand and follow the “art style” of the film. Figure out which side your dragon is on ( Is it a good guy dragon or a bad guy dragon?) and use appropriate shapes to design your dragon. For instance, an evil dragon will have a lot of triangles to emphasize danger and a more round and cute dragon will do the opposite of this. You can also give your dragon some cool props like saddles and other things to help give them more character. Features like battle scares also help give your character more depth. You can also colour your dragon or leave it black and white in values. Both are completely acceptable. Think of what colours work for your characters, for example primary colours are used for heroes and secondary colours for villains. Choose them wisely. You need to design your own villain dragon, the villain character himself / herself and the environemnt – all these need to fit into the world of HTTYD. Gather as much references from past and present films as you can. Anything that helps you understand and follow the “art style” of the film. You can also colour designs or leave it black and white in values. Both are completely acceptable. Think of what colours work for your characters, for example primary colours are used for heroes and secondary colours for villains. Choose them wisely. A panel of experts from the Industry will judge the competition. Most important criteria for judging will be to ensure that the designs fit in the same school of thought and family of existing designs from the recent and previous movies/ TV series of the HTTYD franchise. Please refer to the TIPs mentioned below! Study from the previous and present Movies and Tv series of HTTYD to understand the shape language in large silhouettes. For example, do curvy lines indicate ‘friendly’ and jagged or sharp edges indicate ‘hostile’? Now can you combine lines and curves with basic shapes to achieve pleasing and appealing designs appropriate to the characters nature be it a hero or the antagonist or evildoer? Can this be applied to terrain? Are you designing the Villains sidekick? Cool! Is it complementary to the characteristics of the villain? Does it add to or take away from or contrast the mission and plans of the Lead role? Hmm, interesting thoughts eh? Colors! Practically the deal maker and adds the X factor to the villain or hero! Is it goofy? Is it positive vibes? Does it say watch out like a hornet? Oops, there’s some clue there as to your reference pack of information and inspiration palette to create from.